In 2019 Scott Portelli running several new photography adventures in Antarctica onboard the brand new vessel, Greg Mortimer. 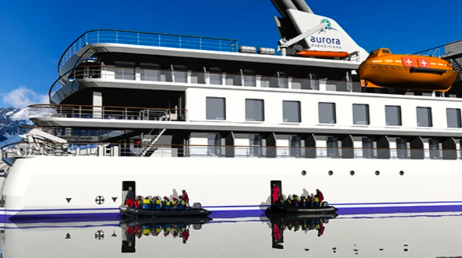 This purpose built expedition ship is designed for this kind of adventure - with viewing platforms, an activity platform (for diving & kayaking) and a unique X-Bow structure to make the journey down to Antarctica as comfortable as possible. 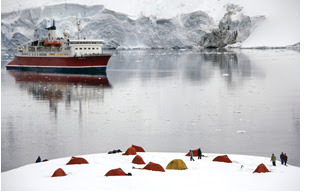 The Antarctica voyages will be focused on making the most of our time in this amazing location, with opportunities to do a range of activities including skiing, kayaking, and even camping out on the ice. And of course there will be on-going photo workshops with me, to help you get the shots you've dreamed of. I hope you can join us for these exciting new trips on this epic new ship! The far icy reaches of our planet are no longer out of reach. 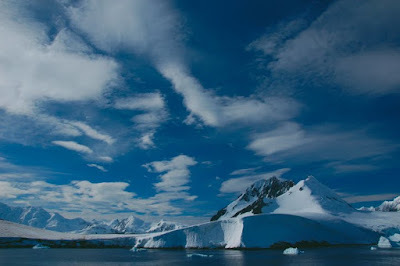 You can visit the rugged wilderness areas of Antarctica, The Falklands and South Georgia where sightings of seals, penguins and whales are daily occurrences, and majestic icebergs often form the backdrop for your adventure. The Antarctic is an immense wilderness region, where we are at the mercy of the wind, the ocean and the ice – conditions that can change rapidly and dramatically. 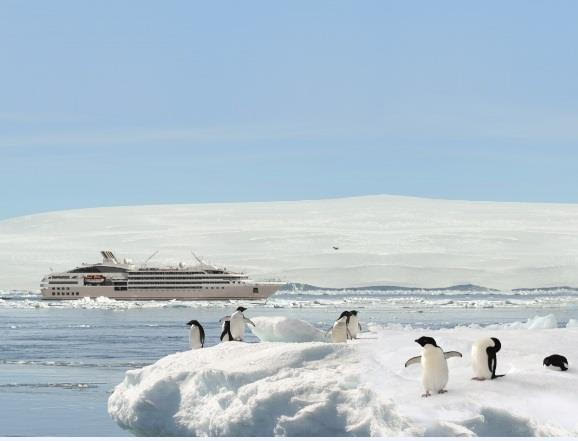 We cannot survive alone in these icy extremes, but Peregrine's state-of-the-art expedition ships and experienced captains will take you deep into the polar regions in comfort and safety. 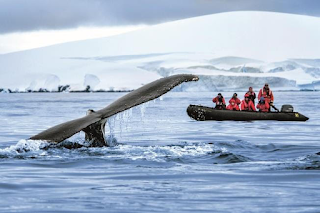 Peregrine's expedition ships unlock a miraculous, forbidden world where animals have no fear of man; where the din of a hundred thousand penguins drowns conversation; and where whales show as much curiosity in the behaviour of humans as we do in theirs. On all voyages your time off the ship will be optimised, as once in a lifetime experiences ensure you have the very best opportunities to explore and to get excellent value. Peregrine takes the time to get under the skin of a destination. Seeing the famous landmarks and wildlife is a must, but exploring it with a passionate expert on foot or finding a quiet spot on the ship to enjoy the majesty of the surrounds in solitude are moments that will leave a lasting impression. All Peregrine polar adventures have world-leading expedition staff, ship captains and crew who draw on their experience from hundreds of voyages. Peregrine aims to set the industry benchmarks for minimum environmental impact and the most stringent safety practices. Operating within these guidelines, Peregrine will guide your polar experience while, at the same time, allowing you the choice and flexibility to see the polar regions in your own style. Using the expedition ships as floating bases, you can choose the style of voyage that suits you. Imagine wandering black volcanic sand beaches on Macquarie Island, mingling with 800,000 Royal Penguins totally unconcerned by your presence. As interested in you as you are in them. Or visiting Snares Island, boasting more birdlife than that found in the entire British Isles. This is a bird watcher's (and photographer's) nirvana! Far flung these islands may be, yet far from barren. Often referred to as 'The Galapagos of the Southern Ocean' these UNESCO World Heritage Sub Antarctic Islands throb with life. Protected by their remoteness they are breeding grounds for vast colonies of penguins, home to pods of orcas, fur seals and sea lions. "Almost half the world's albatross and penguin species reside here in a pristine environment where tourism, frankly, does not exist" observes Mick Fogg who will be heading the Expedition Team in 2019. 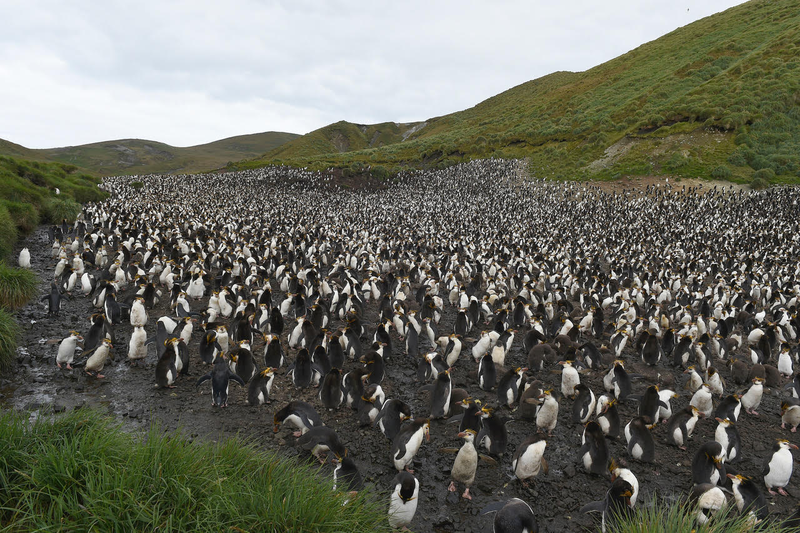 Along with Macquarie Island and Fiordland National Park, the Sub Antarctic Islands represent the best of the world's natural heritage, rating alongside the Great Barrier Reef, Grand Canyon, Galapagos and Mount Everest - with far fewer visitors. Lance Mumby, Owner Manager of CruiseAlong, announcing the sales opening for the one-off 2019 voyage added "Following the 2018 sell-out voyage, I am pleased to announce that in 2019 CruiseAlong will again provide the opportunity to visit these extraordinary Sub Antarctic Islands. CruiseAlong is offering a convenient all-inclusive 17 night expedition voyage that includes flights from Australia and overnight accommodation in addition to the voyage itself." 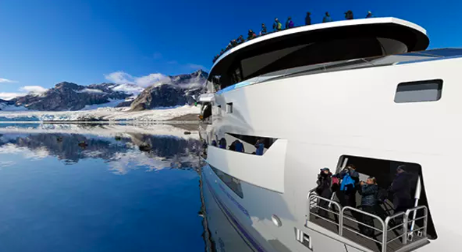 "Departing Dunedin 22 February 2019, explore New Zealand's fiords and the Sub Antarctic Islands onboard PONANT's brand new purpose-built luxury expedition ship Le Laperouse. To be launched in mid 2018 this small ship, with just 92 suites and staterooms, all with balconies, will provide an exceptional 'base camp' for daily activities as we explore with the specialist expedition team." "This is no expedition 'in extremis'" continues Lance. 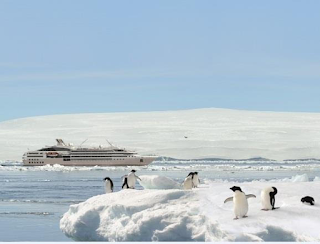 "Luxury and creature comforts abound onboard, including an infinity-edge swimming pool, spa, lecture theatre, boutique, open bar, 24 hour room service and a world-first underwater lounge with glass windows looking out to the marine environment. Underwater microphones will pick up the sounds of dolphins and whales talking …. Imagine, having a cocktail while listening to the marine world surrounding you and seeing fish just outside." This expedition has been designed for those to whom the essence of travel means being rewarded with rare experiences. By Zodiac, land on remote, hard to reach areas, and to observe wildlife. Enjoy each day's adventures with family, friends and other like-minded curious travellers - with the stimulation of mixing with informed, passionate speakers and knowledgeable Expedition Team members.…. all the while travelling in luxury. 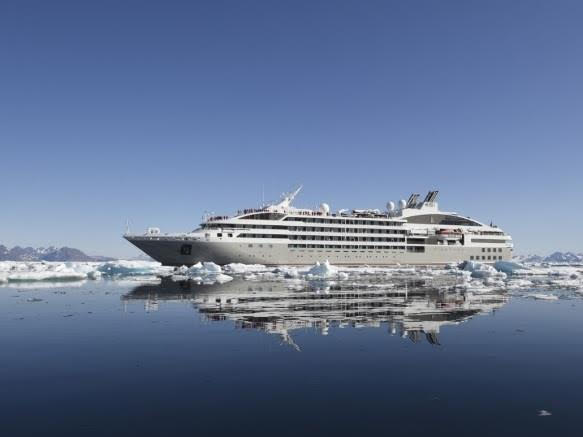 Enjoy French luxury and ambiance onboard one of the world's youngest and eco-responsible fleet of ships afloat, and experience the difference modern small ship luxury expedition cruising offers. Sub Antarctic expedition overview: 16 nights CruiseAlong Sub Antarctic Islands voyage departs Dunedin, New Zealand, 22 February 2019 bound for the famous Milford, Doubtful and Dusky Sounds and then on to The Snares and Auckland Islands and Australia's own Macquarie Island. This expedition includes Campbell, Antipodes and Bounty Islands en-route returning to Dunedin. Fares from $14,990 per person twin share in a Prestige stateroom Deck 4 with a Private Balcony for the 16 night voyage Dunedin / Dunedin 22 February 2019, Le Laperouse. Fare includes return economy class flight from Sydney/Melbourne/Brisbane to Dunedin, private transfer airport to Distinction Dunedin Hotel, overnight accommodation, transfer to Le Laperouse, accommodation onboard, all meals on board, Open Bar, 24 hour room service, expedition parka, free boot hire, outings in Zodiacs with the expedition team, onboard presentations. Please note: This is a limited offer. Contact Lance Mumby directly at Cruise Along Pty Ltd / lance@cruisealong.com.au or 1300 662 022 to request more information or assistance.
) comes in. Their suggestions for layering in the “wows” add even more excitement to cruising the White Continent. 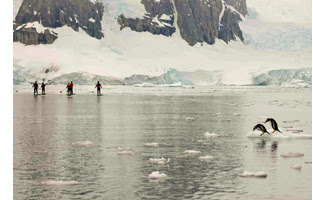 1) Stand-up Paddleboard in Antarctica: Sail on the 199-guest Ocean Endeavour to experience the calming, surreal feeling of standing and gliding on the water's surface among ice floes. This is the only expedition ship currently offering stand-up paddleboarding as an optional (added-cost) adventure activity. The sport of stand-up paddleboarding, a hybrid of surfing and kayaking, provides a very personal perspective of Antarctica as you stand solo on the stable surf-style board, propelling your way forward with a single, long oar. Guides take out small groups of 10 paddleboarders in good weather conditions on calm bays and harbors. 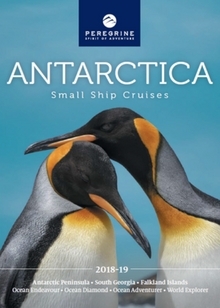 3) Scuba Dive in Antarctica: Sail aboard the 114-guest Plancius or the 116-guest Ortelius to experience Antarctica's underwater world of marine life: kelp walls, sea snails, crabs, sea butterflies, jellyfish, sea-hedgehogs, starfish, krill and giant isopods. 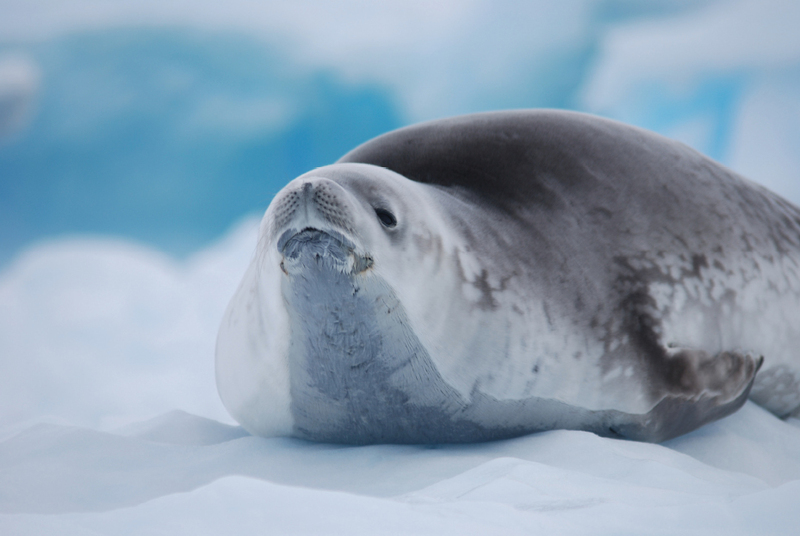 Fur and leopard seals and penguins abound. Dive sites are varied and may include shallow ice diving and diving along a wall, and entering the water from a beach or from the zodiac. The maximum depth is around 20 meters (60 feet). 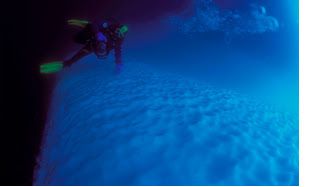 Scuba diving incurs an added cost and is for experienced divers only who are familiar with cold water diving and dry suit diving (at least 20 dives). 5) Skinny Ski Antarctica: The 199-guest Ocean Endeavour is the only expedition ship in AdventureSmith’s catalog offering cross-country skiing as an add-on activity. Antarctica's pristine snow makes it the perfect place to Nordic ski, with penguins providing the soundtrack. Cross-country skiing is only available on select Antarctic voyages at the beginning of the season. 6) Travel with Famed Explorers and Scientists: National Geographic The White Continent and National Geographic Antarctica, South Georgia & Falkland Islands expeditions offer an extensive Global Perspectives program, with scientists, artists, historians, explorers and other influentials joining their Antarctic voyages as expert guest speakers. Sailing with you are the likes of Peter Hillary, the son of Everest's Sir Edmund Hillary; archaeologist Lee Berger, one of Time Magazine's "100 Most Influential People in the World"; Frances Ulmer, the Chair of the US Arctic Research Commission; and Joe MacInnis, the first person to explore the ocean beneath the North Pole. About AdventureSmith Explorations - Think Outside the Boat! Founded in 2003, AdventureSmith Explorations is based in Tahoe City, CA, along the northern shore of Lake Tahoe. A recognized leader in small ship cruising, in 2012 owner Todd Smith joined the ranks of Conde Nast Traveler's prestigious Annual Travel Specialists List as the world’s leading expert on small ship expeditions. 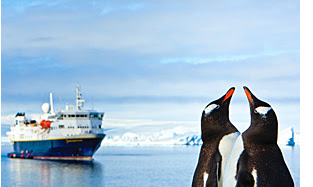 World Expeditions is offering massive savings of up to US $7,050 per person (twin porthole) on its epic 32-day journey into the very heart of Antarctica. Book before 3 August 2016 and save US $5,750 (quadruple porthole), US $5,950 (triple porthole) or US $7,050 (twin porthole). The offer is available for a limited time on trips departing on 13 January or 15 February 2017. Following the path of the early explorers, this ultimate Antarctic adventure involves abundant wildlife encounters, whale sightings and a visit to the Ross Island research stations. It is one of World Expeditions' most adventurous and comprehensive itineraries. Take off on the ultimate New Year's Eve adventure this year aboard Antarctica Flights' specially chartered Qantas 747 to one of the world's most difficult to reach destinations. Antarctica Flights has announced bookings are now open for its unique all inclusive trip, which gives guests the opportunity to take in the vast expanse and breathtaking beauty of this frozen wilderness in just one day. Only accessible to Australians, this special day flight over the pristine white landscape of the Earth's southernmost continent takes in the icebergs, coastal cliffs, glaciers and spectacular mountain ranges for which Antarctica is renowned. Quality celebratory drinks plus dinner and a live on board jazz band add to the once in a lifetime excitement of the New Years Eve “Midnight Sun” flight, while expert Antarctic expeditioners are also on board to talk about the polar environment and life on the ground. “People are always looking for new and exciting ways to celebrate the New Year. Here in Australia, our close proximity means that we can actually fly to Antarctica and back in just one day. It's a once-in a lifetime experience. And what a phenomenal experience it is. Guests tell us that there is something quite special about being one of the first people in the world to welcome the New Year in daylight. Antarctica Flights' New Year's Eve itinerary takes approximately four hours to reach the South Magnetic Pole, descending over spectacular sea ice and icebergs and crossing the Antarctic coast near the French research base at Dumont d'Urville. 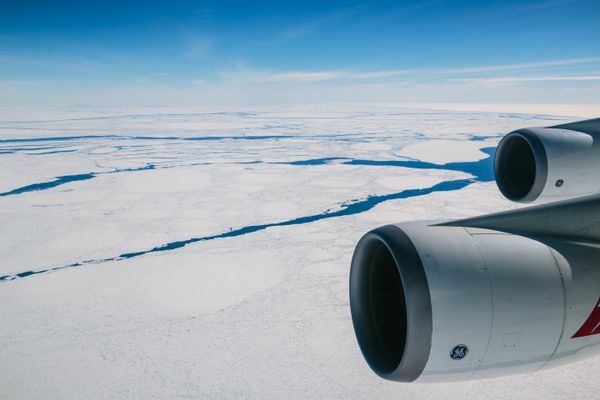 From there the aircraft flies over magnificent glaciers and ice fields before continuing to Cape Hudson and Cape Washington and the astounding Trans Antarctic Range. Up to 19 different routes are available to take advantage of the clearest weather conditions of the day, ensuring the best possible views of the Antarctic landscape. There is also a flight on sale for Australia Day 2017 from Perth. Prices begin at $1,199 for Economy Class Centre and range to $7,999 for Ice Class. 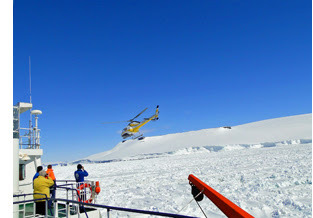 See www.antarcticaflights.com.au for further information or call Antarctica Flights on 1300 633 449.